Our Rodeway Inn is a smoke free hotel. 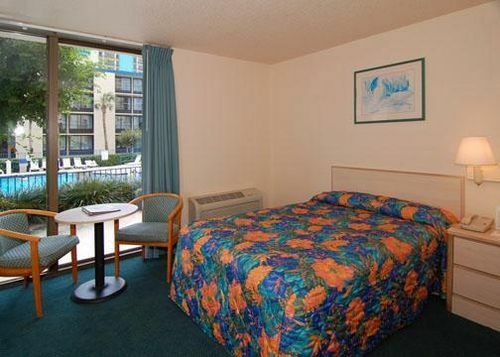 All rooms include Microwave, Refrigerator, and coffee maker. We are walking distance to Wet 'N Wild. 15 minutes to Disney. 3 miles to Sea World. 1 mile to Universal Studios. Children 9 years and younger to eat FREE when accompanied by an adult purchasing the buffet. 24-Hour Security. FREE scheduled shuttle for Universal Orlando (including Universal Studios, Islands of Adventure, Universal CityWalk), Sea World and Wet N' Wild. Pet accommodation: 10.00/night plus tax. Guest must be 21 years old to check in.